He joins musicians such as Sting and Madonna in publicly supporting the trio of women from the punk provocateur act who have been held behind bars for more than five months. The women will hear on Friday whether they will be imprisoned over their anti-President Vladimir Putin prank, which took place in Moscow's main cathedral. Ahead of the verdict, Macca has written to the three expressing hope that the principle of free speech will be upheld. He wrote: "Dear Nadya, Katya & Masha, I'm writing to show my support for you at this difficult time. "I would like you to know that I very much hope the Russian authorities would support the principle of free speech for all their citizens and not feel that they have to punish you for your protest. "Many people in the civilised world are allowed to voice their opinions and as long as they do not hurt anyone in doing so. I believe this is the best way forward for all societies. "I hope you can stay strong and believe that I and many others like me who believe in free speech will do everything in our power to support you and the idea of artistic freedom. 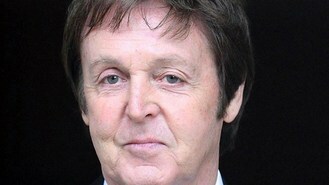 Wishing you the very best of luck, Paul McCartney." Supporters around the world are expected to hold simultaneous demonstrations shortly before the court delivers its verdict. Nadezhda Tolokonnikova, Maria Alekhina and Yekaterina Samutsevich gave their brief performance at Christ The Saviour Cathedral in February.